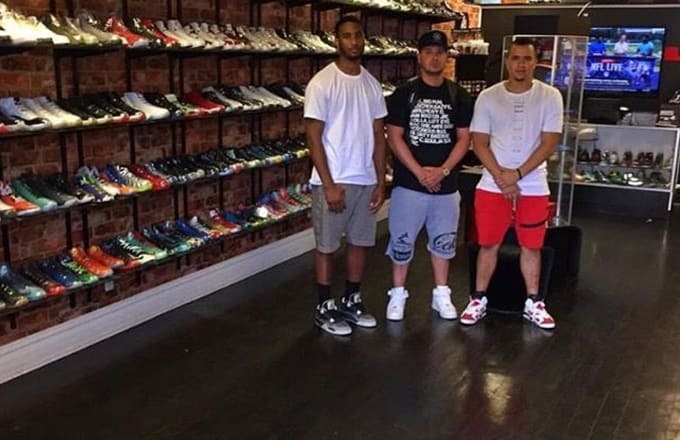 Sneaker collector and co-owner of East Coast Boutique. On Friday, February 26, Jamaal “Mally” Gaines, co-owner of East Coast Boutique, a sneaker store in Rahway, N.J., was murdered in front of his shop. 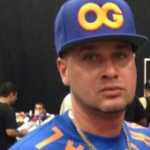 He started the store with Adam Gage, aka Soley Ghost. We had Gage tell the story of how he and Mally met, what happened the evening of his untimely passing, and what’s next for East Coast. 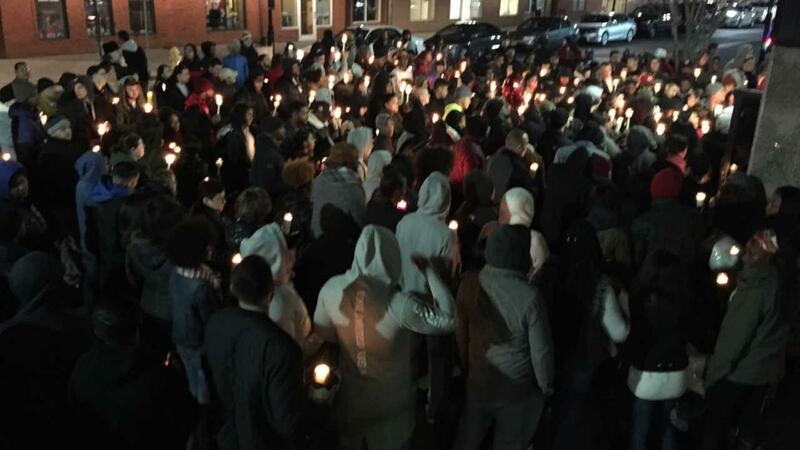 A service will be held for Mally today at Agape Church, located at 1550 Irving St., Rahway, N.J., at 1 p.m. today. I’ve never been through this type of situation with someone close to me. As a 32 year-old man, I’ve had aunts, uncles, and grandparents die, but I’ve never had someone younger, who was that close to me, pass away. We met about three and a half years ago, Mally and Jerm, who is one of the other partners in the store, opened up a store a block away from our store right now. It started as a clothing and sneaker boutique, and they didn’t have many sneakers there. He contacted my brother about some shoes. So then, Jerm and Mally both hit me up saying they needed to buy some stock for the store. I’d send extra sneakers out of my stash of around 1,300-1,500 pairs. It started off with them buying five pairs, then it would be 10 pairs. It progressed to almost 40-50 pairs of sneakers every few weeks. He called me back saying, “You know, I’m thinking about what you said, and I’d really like to do that.” I had him look at 10 locations. Later on that day, by 5 p.m., he sent me pictures of the ones they thought were the best candidates. We told each other our visions and realized that this was going to work. 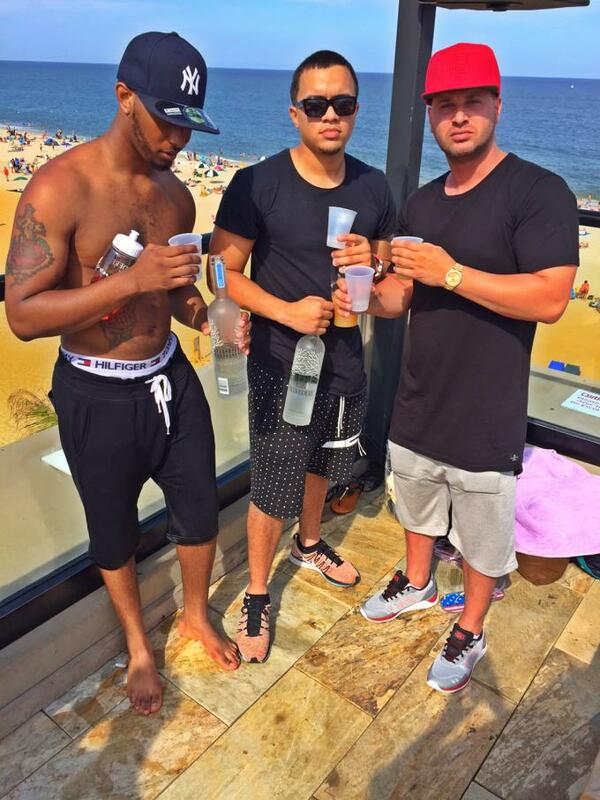 Mally, Jerm, and Soley Ghost living life in better times. It impressed me that an 18-year-old took this much initiative. We started construction, and it took us about a month to get up and running. We had a lot of support because of my Instagram account, and it was something that New Jersey needed. The store took off, and within the first year we did a $1M in sales. It’s been crazy ever since then. There’d be kids who’d come in with their moms and they’d say, “Hey, I’m only spending $200 on you.” The kid would be eyeing a shoe that’s $300, and Mally would tell the mom that the shoe cost the store $220-$230. He’d find something they could afford. He wanted them to leave happy and have something good to say about the store. He made every single person that walked into the store his top priority. He would go to the back and bring out Jordans and show people everything we had in the shop. A few weeks back, we had that snowstorm with 31 inches of snow. I woke up at 10 a.m. and called him saying, “You need to put up a post saying we’re closed.” He said, “I’ve already been up since 6 in the morning, this dude wanted to cash out his collection. I had to drive out to Long Island and figure out how to fit 110 shoes in a compact car.” Then he sent me a picture of him at the store during the snowstorm, inventorying all of the shoes already. He always had a smile on his face. He always made people laugh, and he loved East Coast. He lost his life defending the store. We have insurance, we have all of those things. He just didn’t want anyone to get money or sneakers. They didn’t get anything. He lost his life for no reason. There needs to be a positive to come out of this. Everyone needs to realize that people are losing their lives over shoes. Mally showing his love for sneakers. I put my name on East Coast Boutique and I did all those things for the store, but he was behind the store’s sales. We were a one-two punch. It’s crazy because, literally, the day before he died, we had people come into the store and give us estimates. He had this dream of how he wanted the store to be two levels, pushing back the showroom, buy out the apartments behind it, and make it this crazy store. Now I’m trying to make everything happen that he wanted for the shop. I can’t tell you how many countless nights I would be home, he would pick up these books about money and entrepreneurship, and he would send me these paragraphs that were relevant to the store or situations we were in. He had a firm grasp on what being an entrepreneur was about. He was a part owner Re-Up, another store we opened in Philly. We were also working on a store in Miami. He was going to have three stores at 21 years old. I was telling him he’s young, he needs to go out and enjoy his life. He was about business 24/7, and it motivated me, because it made me want more. I felt like it was my responsibility to try and make that happen for him because of how much he loved hustling and selling sneakers. 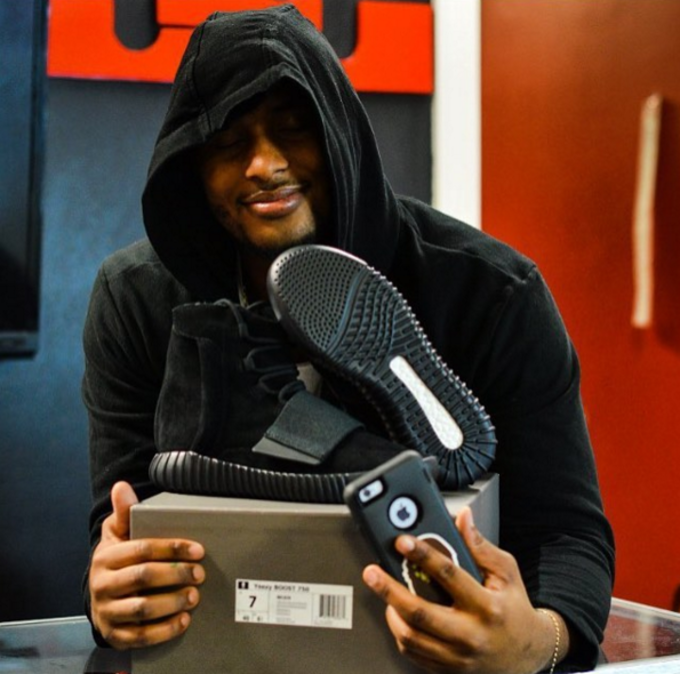 He would go to so many sneaker shows across the Tri-state Area with $10,000-$20,000 —his money or the store’s money—and he would buy crazy amounts of shoes from so many people. He loved his girlfriend, Tati, and spent a lot of time outside of work with her. He didn’t really go out much or party; he didn’t do any of those things. As far as the evening he was murdered goes, I can’t say too much because it’s still an ongoing investigation. But two people came to the store after hours, and there was an altercation and he was shot. The two men didn’t get anything—sneakers or money. He called me right back saying, “No, I had another phone call, and I had to make sure it was true.” At this point, I didn’t know if he was still alive or not. I took three seconds, got all my stuff together, and headed to the store. When I got there it was roped off with yellow tape. There were probably 100 people in front of the store. I wanted to know what was going on. One of Mally’s friends said, “There’s no good way to tell you this, but he’s gone.” That’s when I fell down to my knees and lost it, because it was the first time I got confirmation of what happened. His mother showed up 15 minutes later, and you can imagine how that went. I don’t really know what we plan to do now. I know we’re going to let his legacy live on and never let the East Coast name die. We don&apos;t want the store to be the way it was before, because it brings up too many memories. I can close my eyes when I walk into the store and see him hovering around the store on one of those hoverboards, or think of him sitting in the back office with me doing numbers. We’re going to change around the store, we’re thinking of moving it to a local mall. We either want to have a tribute section for him or a mural of him at the store. I only learned this the other day from his mother: On Wednesdays he would go talk to the boys at the local YMCA. He’d tell them, “If I made my dream happen, so can you.” No one knew that, he never told us that. He didn’t do it to get credit, he just wanted to impact these kids’ lives.